Life’s Twists and Turns often happen at night or on the weekends. What happens when something happens after hours? Because some things just can’t wait until regular office hours, our doctors are available to our clients even when the office is closed. This has always been the philosophy of our founder, Dr. Amy Jordan. Initially we opened this service up to all callers, but due to the increased demand, we have limited our after-hours and emergency services to Bear Creek Veterinary Hospital clients and their animals only. 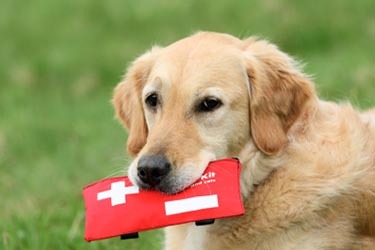 If you have a regular veterinarian other than us, please refer to your hospital’s emergency service policy. If you don’t, please consider our practice for all your pet’s needs. Our doctors rotate emergency call duty at night, weekends and holidays. The doctors are available after-hours by phone. If you have an emergency, then they will meet you as they are able to get to you. Emergency calls are on a first come first serve basis but they are also ordered according to priority and severity of the emergency. True life or death emergencies take priority. All you have to do is call the regular office number (704-986-0000) and follow the prompt to choose #2. This will divert your call to the on-call Dr’s cell phone. Leave a message stating your name, number and the nature of your emergency. The doctor will call you back as soon as they are able to get free from the call they are on. This could take a few minutes on some occasions, so we ask for your patience. However, if the doctor has not called you back in 15 minutes, please call again. There are many things that will still require more elaborate and invasive diagnostics, treatments and surgery; however, for most emergencies, we can provide fast and effective intervention for you and your pets or livestock without having to refer elsewhere. If referral is still needed, we will quickly and honestly make that recommendation. Our most frequently used referral facilities are the Carolina Veterinary Specialists and North Carolina State University Veterinary Teaching Hospital.